We’re delighted to announce the opening of two new stores in Cork in Mayfield and Bakers Road, Gurranabraher. 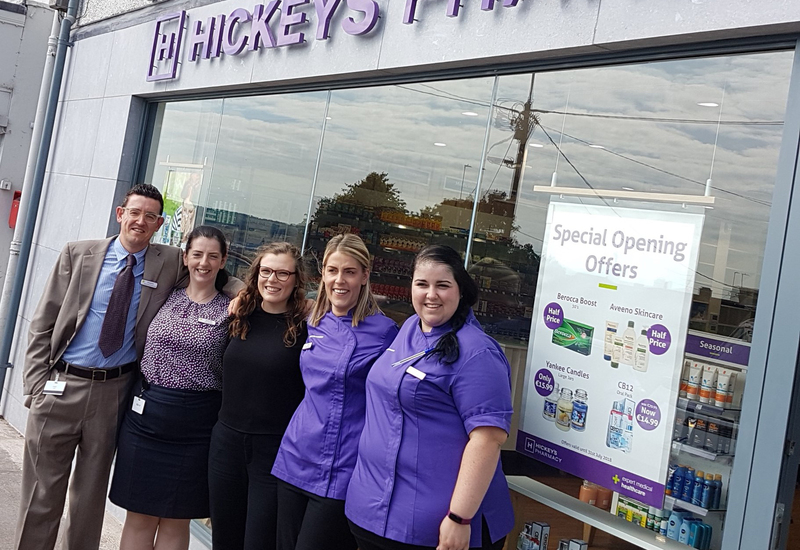 The Mayfield and Baker’s Road pharmacies will bring the total number of Hickey’s Pharmacies in Cork to five which already includes stores in Ballincollig, Gurranabraher Road and Ballyphehane. We extend a warm welcome to the teams in Mayfield and Bakers Road and know that they are looking forward to serving the local communities, providing health advice and support. M.D. of Hickey’s Pharmacy, Paddy Hickey, said “We are delighted to be adding to our already extensive network of stores and to expand our presence in Cork. Hickey’s has expert, dedicated and caring staff working at the heart of communities across Ireland alongside GPs and other healthcare professionals. As an Irish business we are proud to be able to help thousands of customers every day across our 36 pharmacies. We look forward to bringing Hickey’s unmatched service and support to many more communities in the months and years ahead as we continue our expansion”. For store opening hours and contact details, visit our store locator.